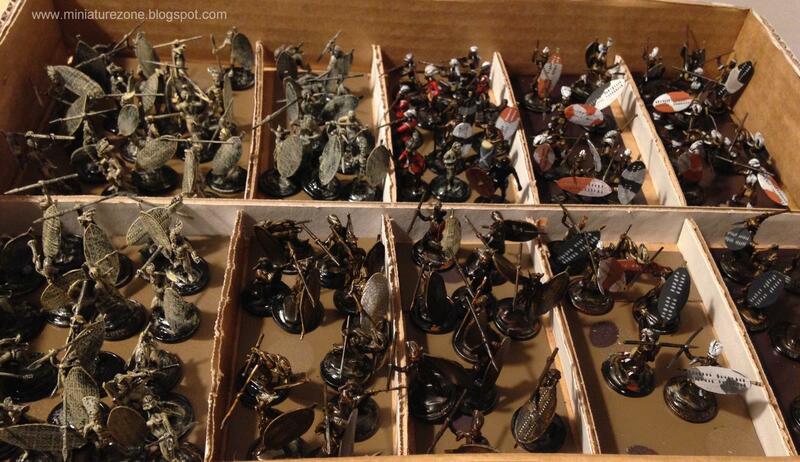 Finallly finished, all in all, just over 150 figures. As mentioned in the previous post, most of the shields were homemade due to the fact that nearly all the original Esci shields had been lost over the years. 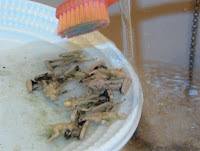 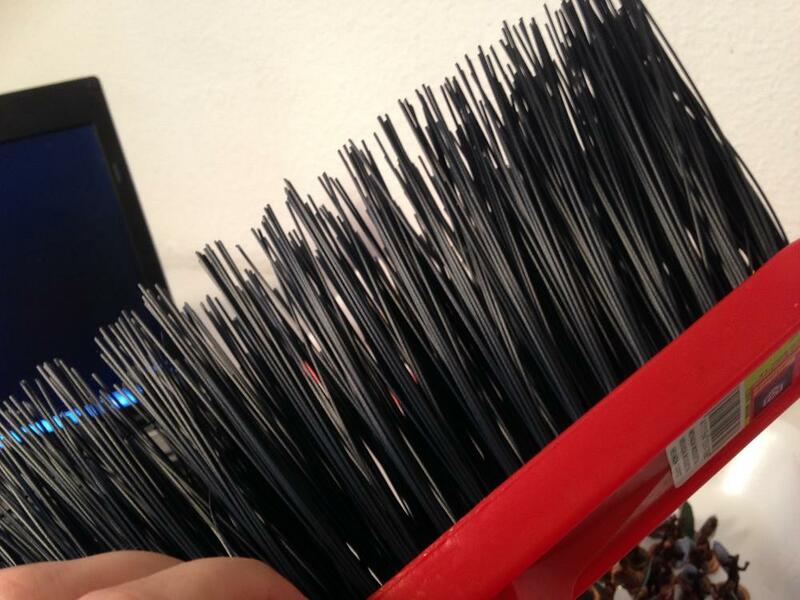 The spears were also missing and were replaced with spears made from stiff plastic broom bristles. 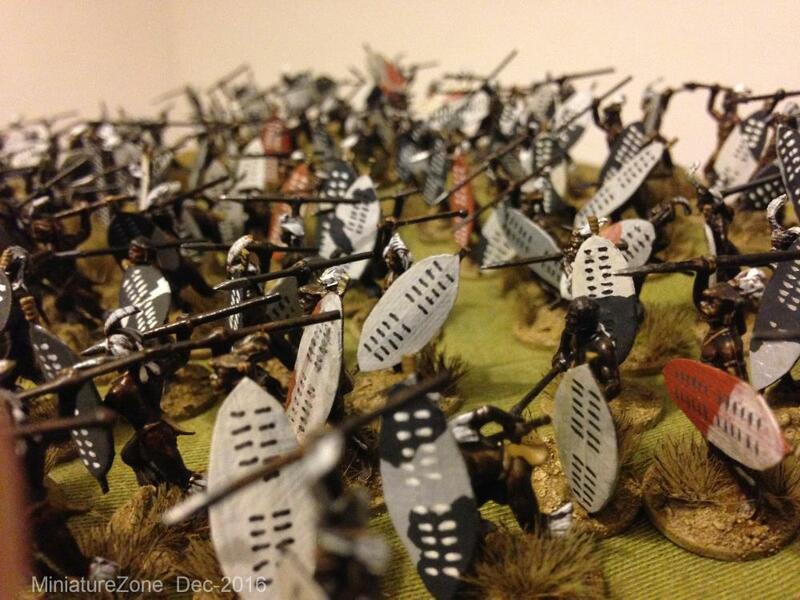 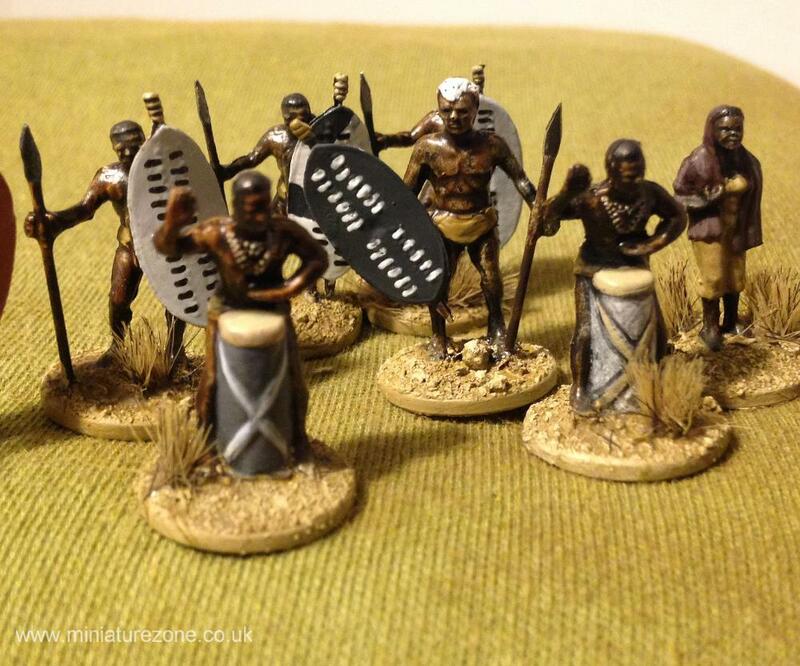 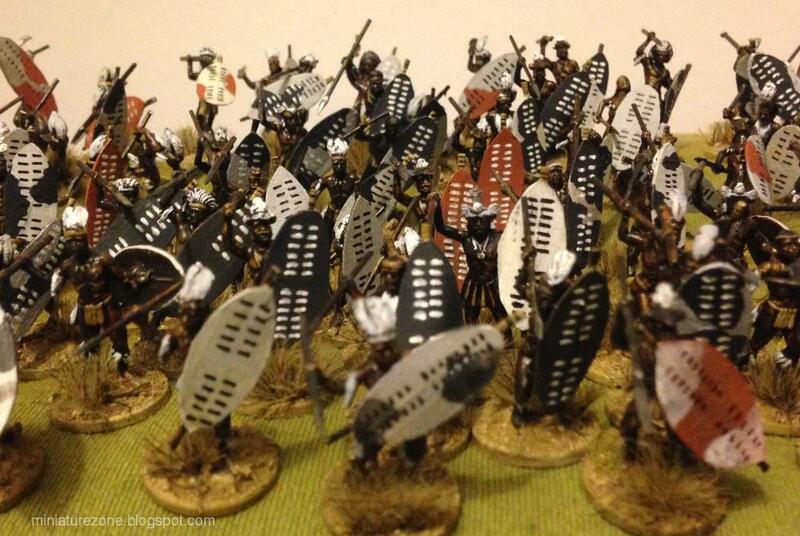 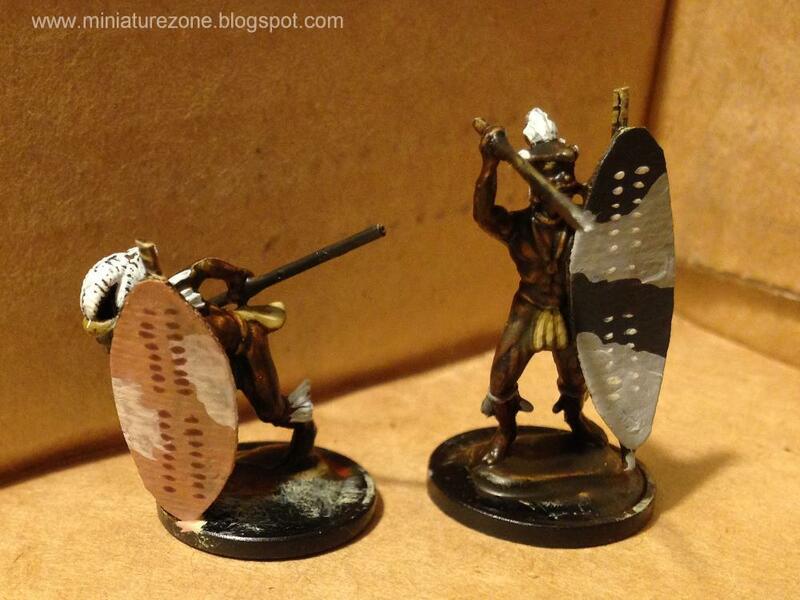 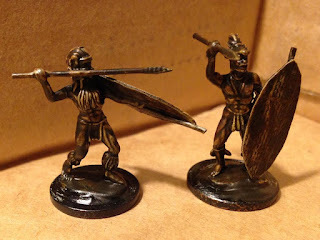 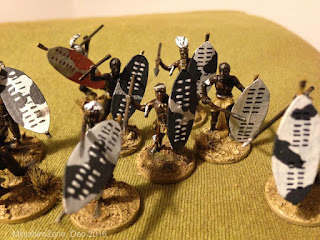 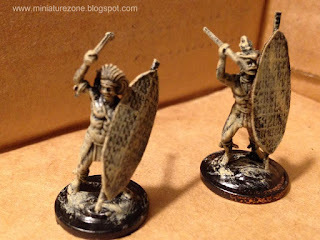 To make up the numbers, a handful of Esci Barbarians managed to slip in as Zulu"impostors". 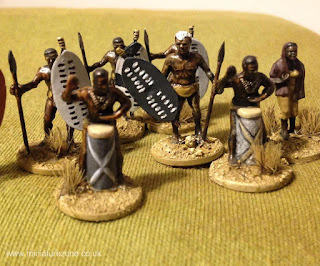 Even Tarzan from the old Airfix set was press-ganged into to group as an old robust grey-haired warrior with his Airfix drum playing entourage, guards and lovely female companion. Now it's a case of getting them on the table....., which means painting up someone to fight against, and who else but old Esci British Rorke's Drift infantry. 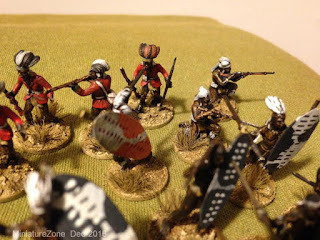 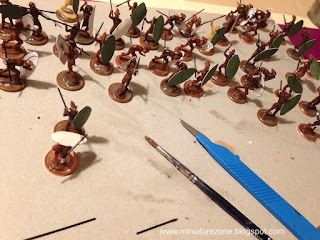 The partially completed figures above are waiting patiently in the painting queue, but since finishing the Zulus I've moved onto other things so it might be a little while yet, but the plan to do them is still there and the story will definitely continue. 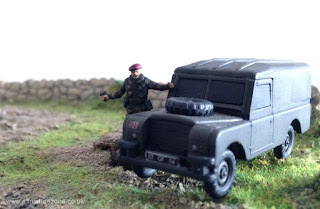 Following on from the previous post, some more 1:76 scale British / Commonwealth figures, this time from Matchbox. 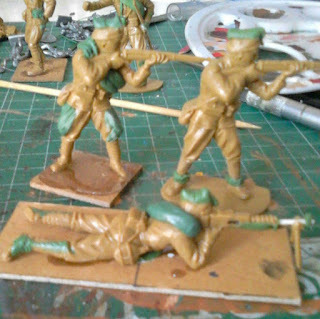 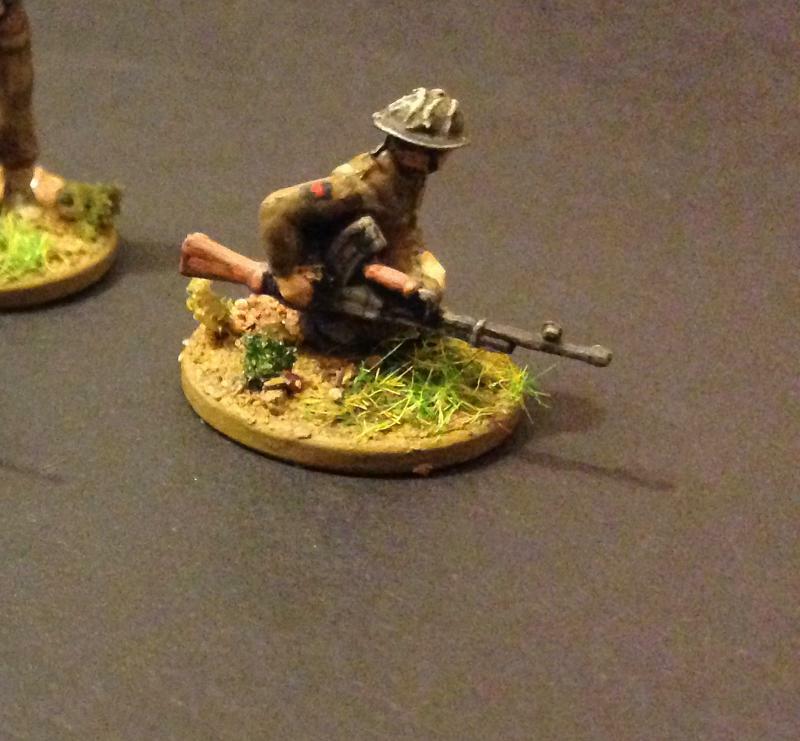 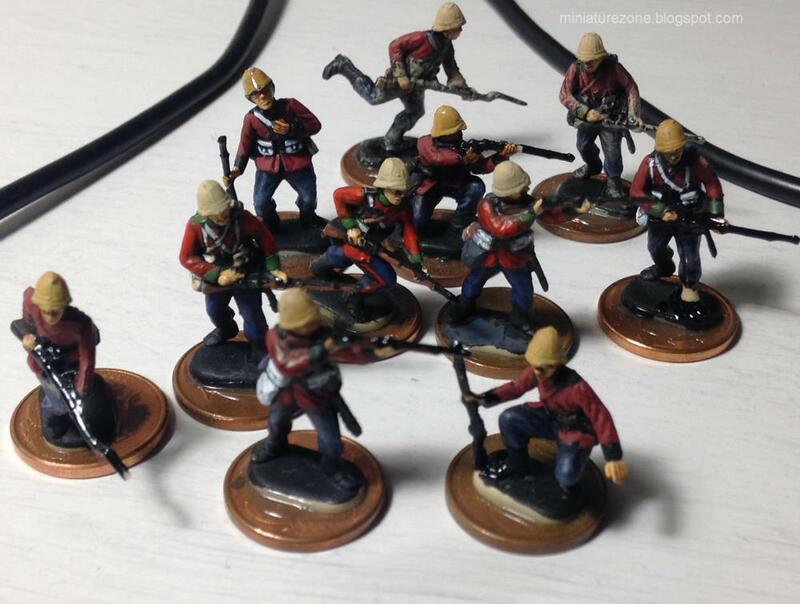 These are a mixture of figures from the British Infantry and British Commandos sets with a couple of conversions. 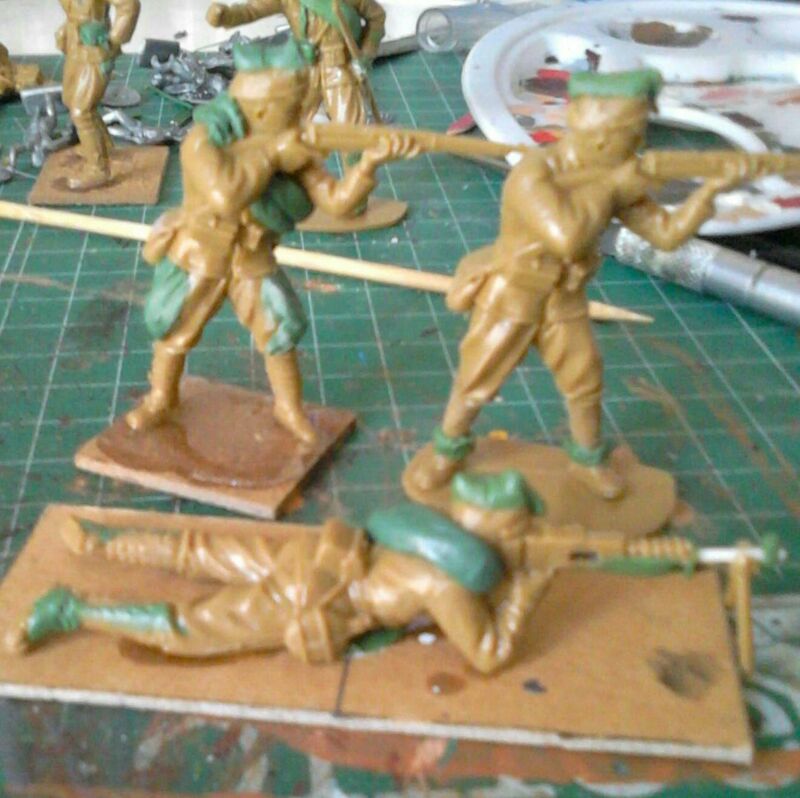 Three different figures based on the same charging pose. The original unaltered figure on the left. The NCO figure with the beret wielding a Colt-45 pistol is from the British Infantry set. The running figure with the Thompson SMG is from the Commando set with a head-swap. 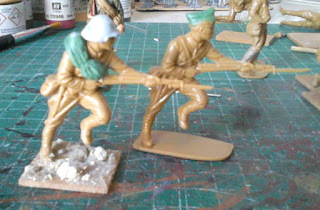 Two more figures from the British Infantry set- officer on the left wearing a leather jerkin, and on the right a figure that I’ve often used as a tank crewman. 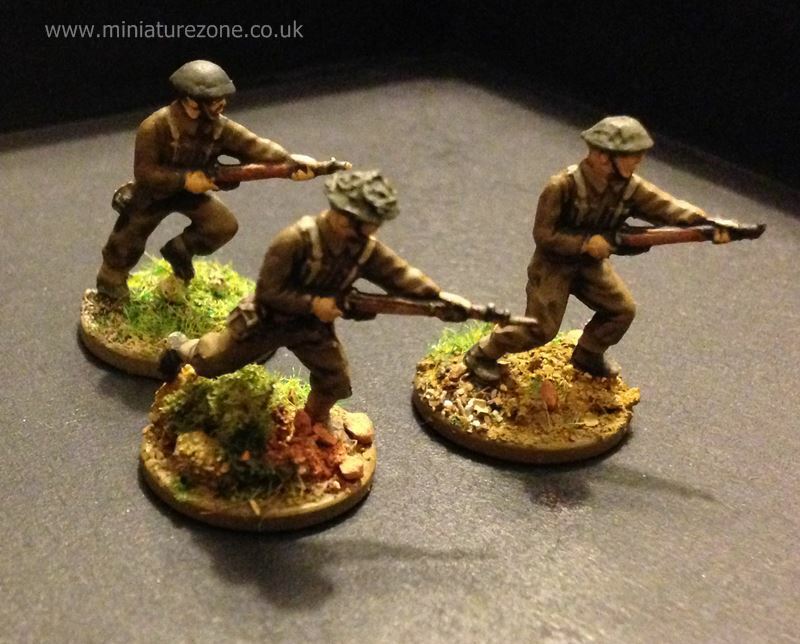 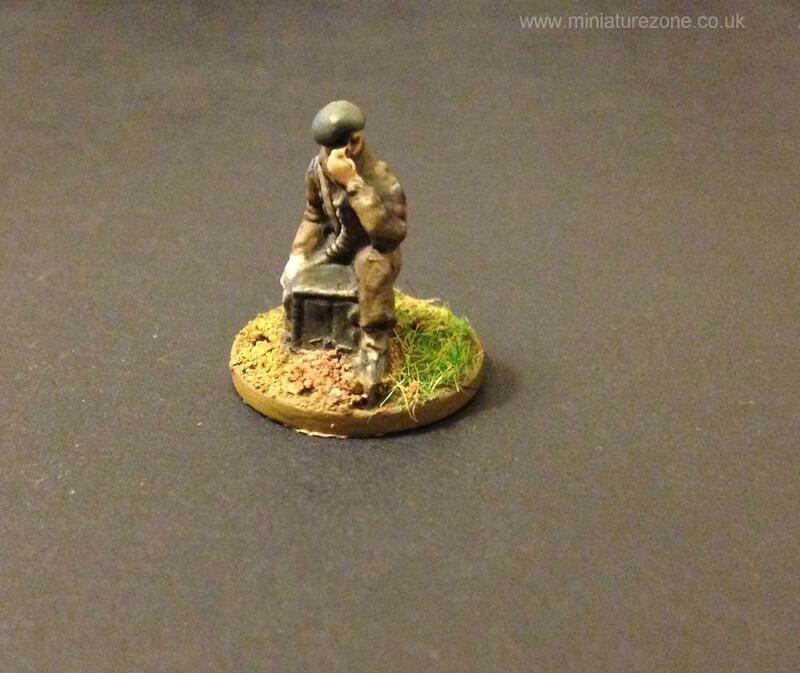 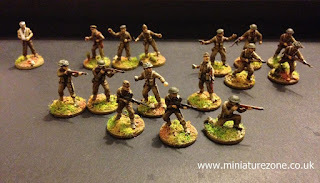 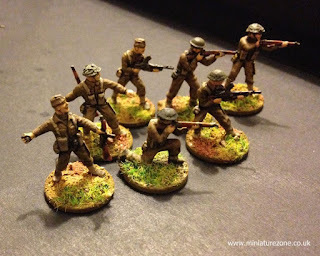 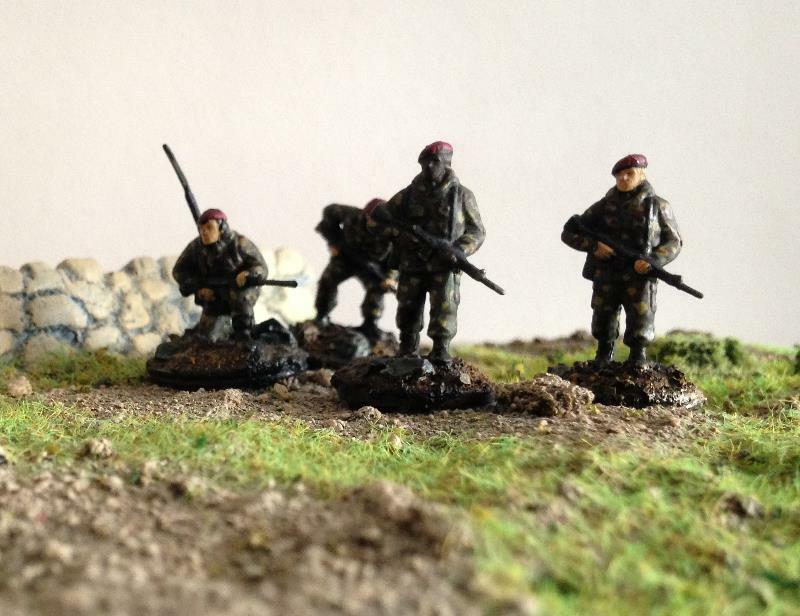 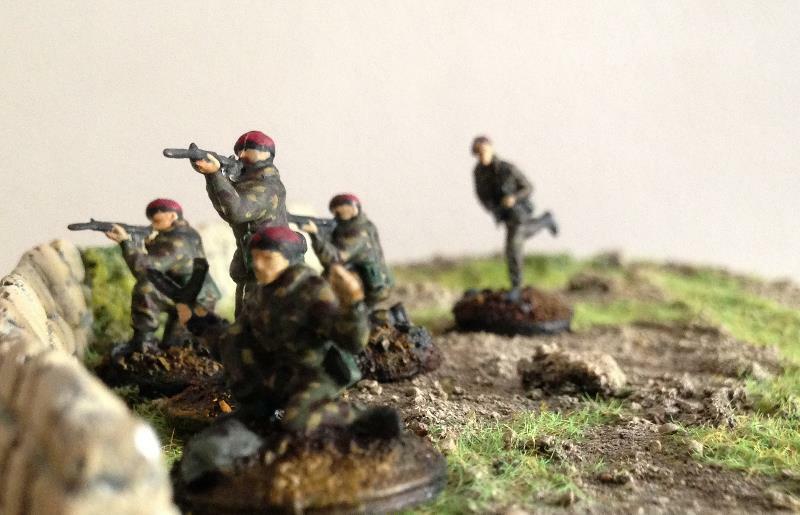 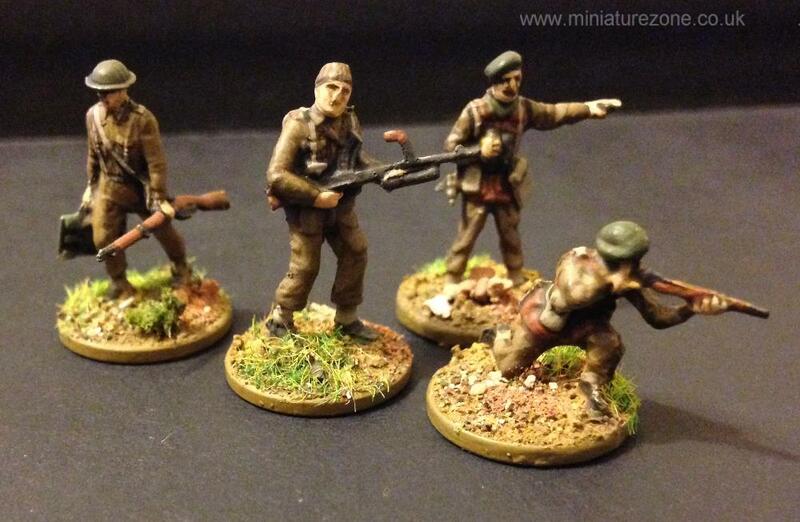 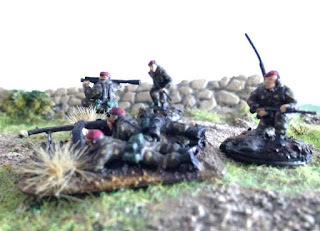 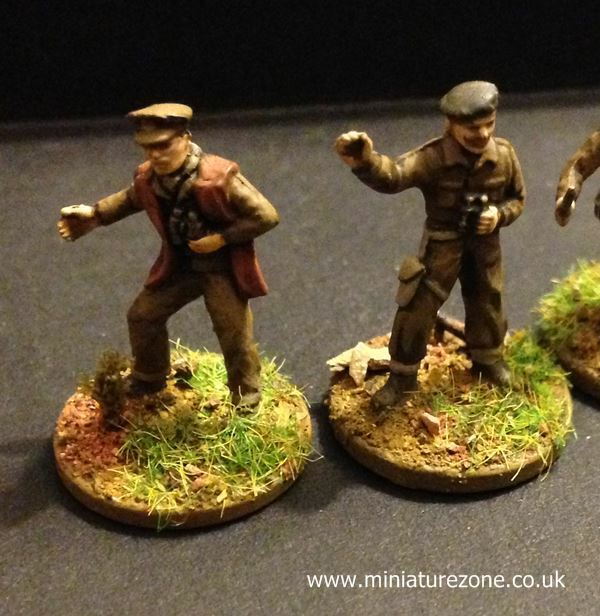 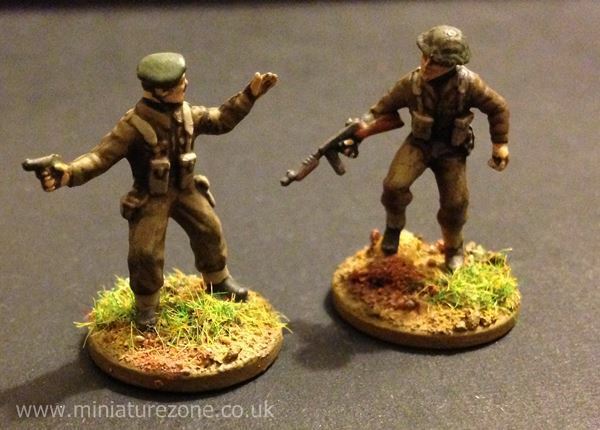 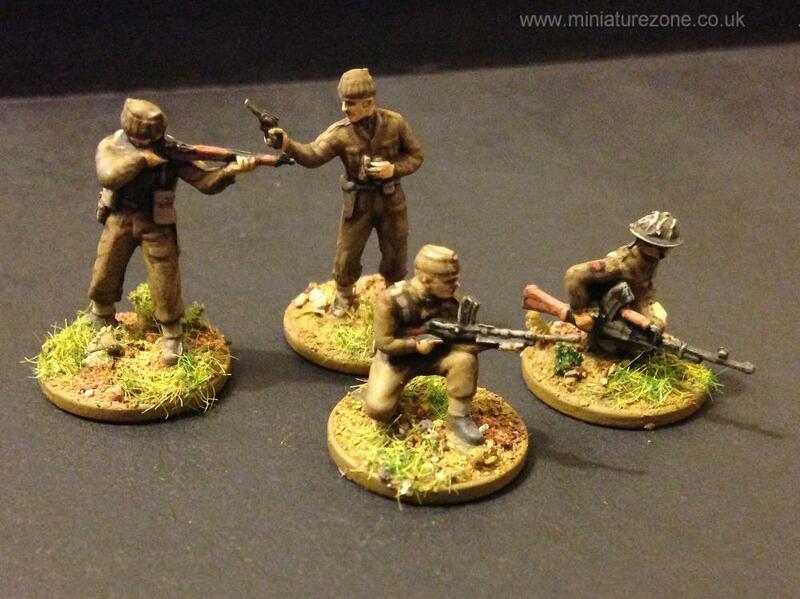 A mix of figures below from the Commandos and Infantry sets. In the Commando set you also get a German sentry who looks like he’s just been taken out by this guy. 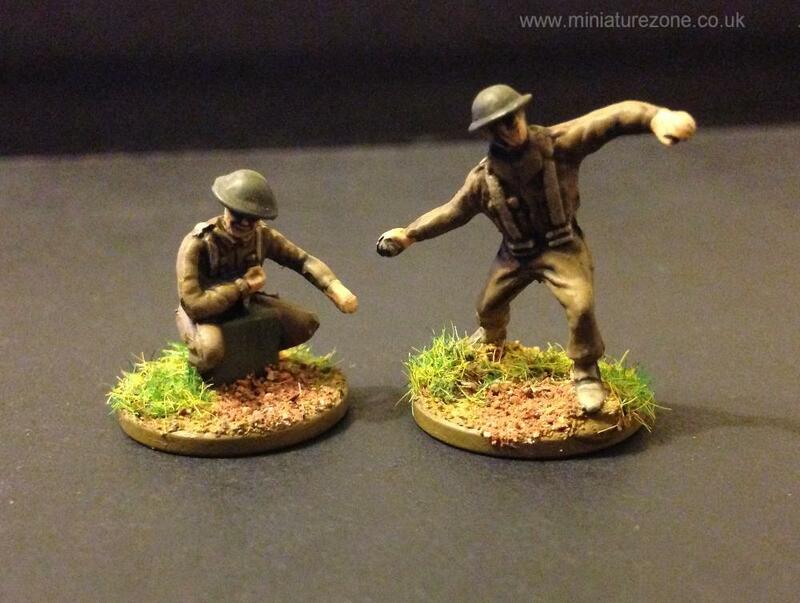 I must get around to paining up that sentry and get a picture of the two together…. 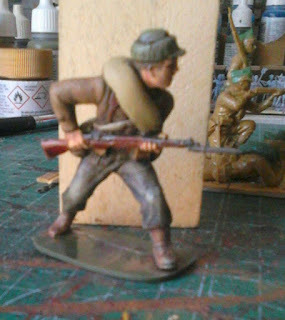 This poor lad below is from the Anzac Infantry set. 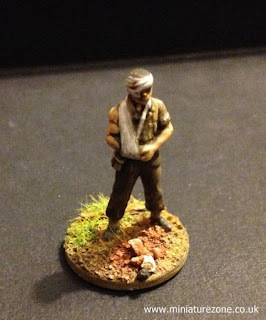 Makes a good casualty marker for games. 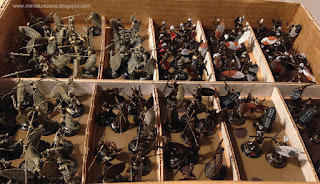 The Matchbox sets have been around for a good number of years – and I remember painting figures from these sets with Humbrol enamels back when they first came out when I was a kid – but up until recently they were difficult to come by, but thankfully that changed very recently when Revell re-released the sets. 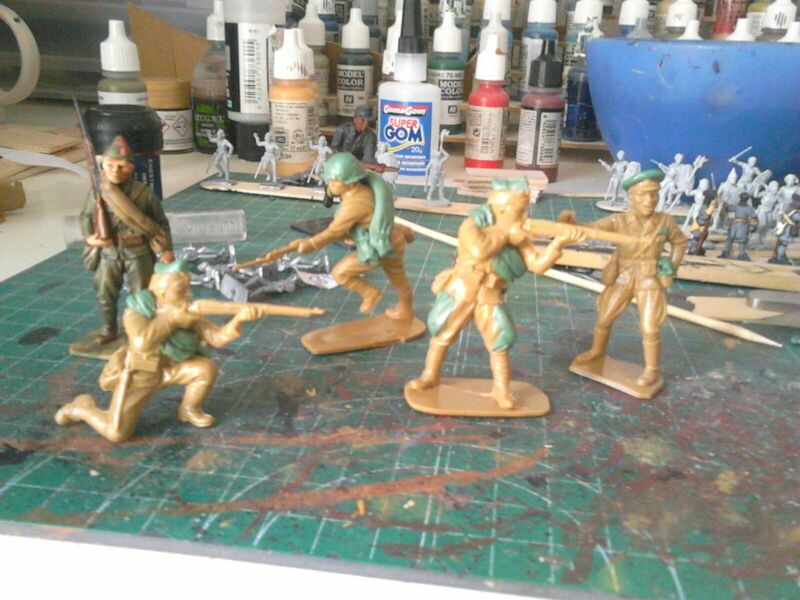 These figures were part of a stash of modernish smallscale stuff recently given to me by a friend, Iván. 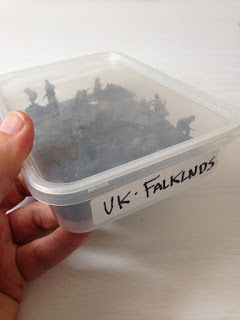 A plastic food container bearing the words "UK Falklnds" (missing an "a" there) held a treasure trove of painted and based 1-76 scale Matchbox Falklands British Paratroopers. First produced in the UK back in the early 80s, they were originally boxed as "Matchbox Nato Paratroopers". 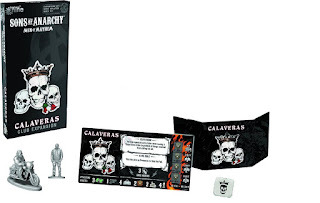 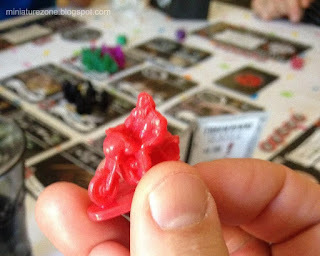 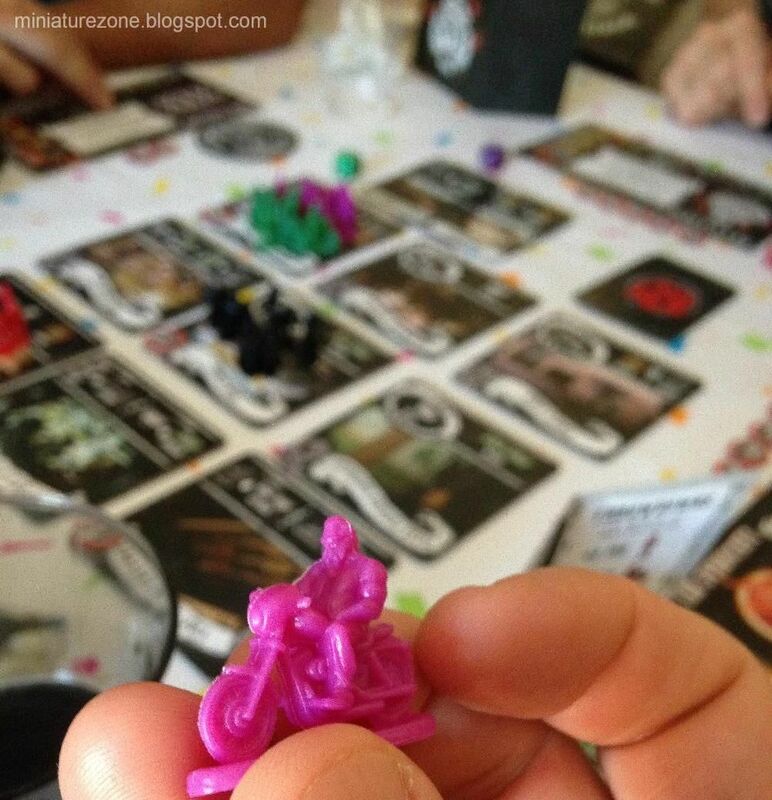 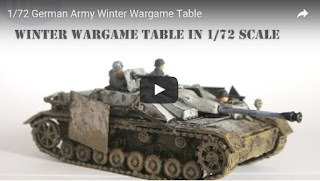 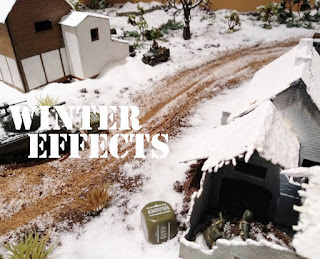 There's a nice review of the set on www.plasticsoldierreview.com. I've never been one to look a gift-horse in the mouth, so when my mate Iván said he was having a clear-out and that he had some modern stuff in 1/72 for me, well,.... 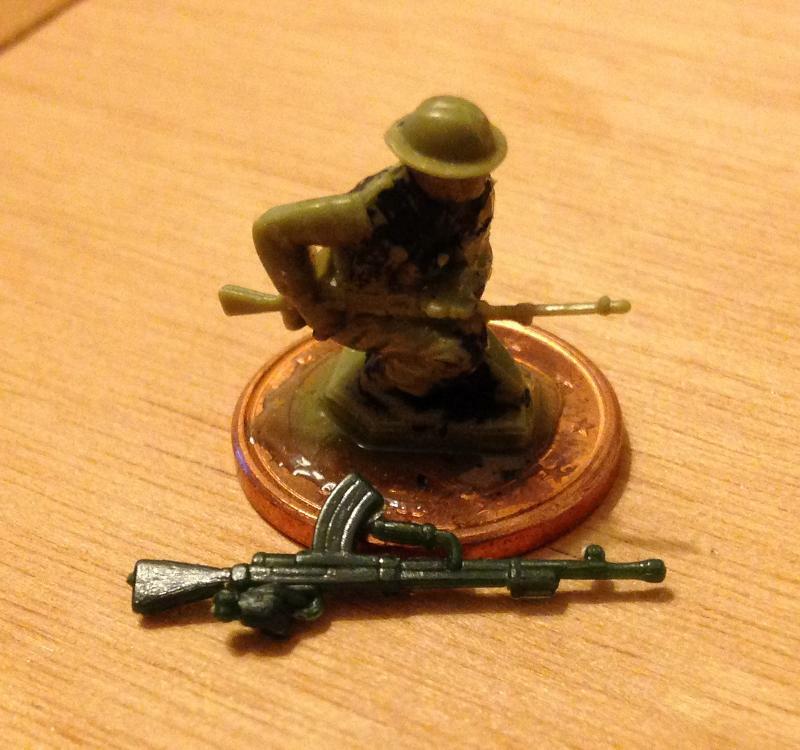 I just couldn't say no. 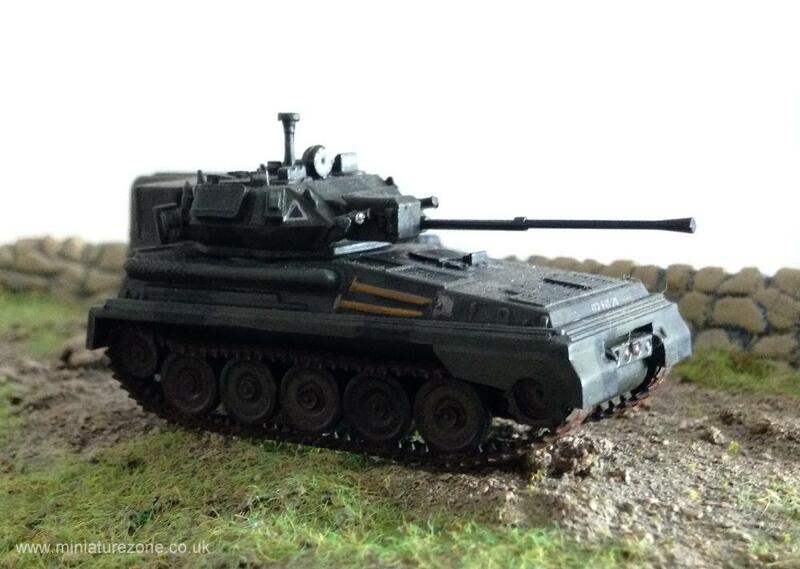 A partially built Esci T-62 - very nice indeed. This MBT can be used by a variety of nations in a multitude of game scenarios. 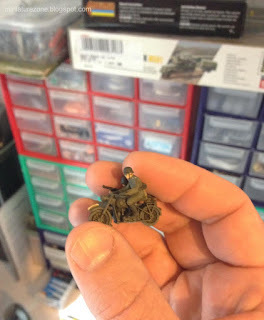 A new unbuilt Trumpeter Zil 157 Fuel Truck - will be a nice addition on the table for modern game scenarios we've got in preparation. 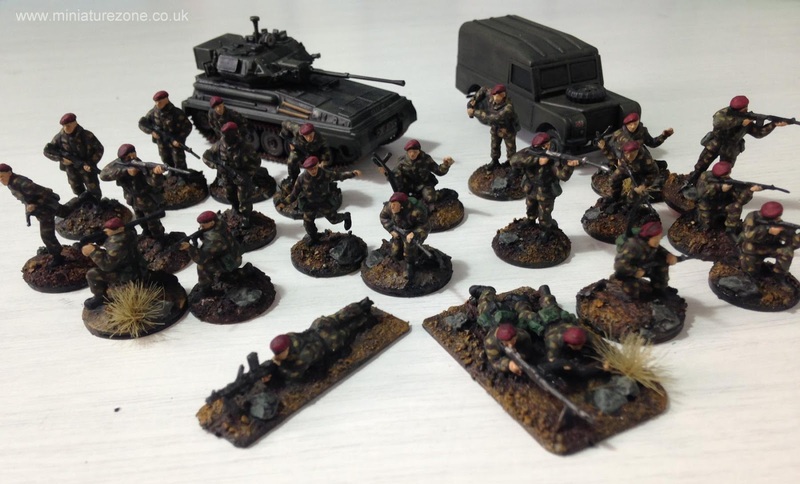 Two BTR-70 in resin. 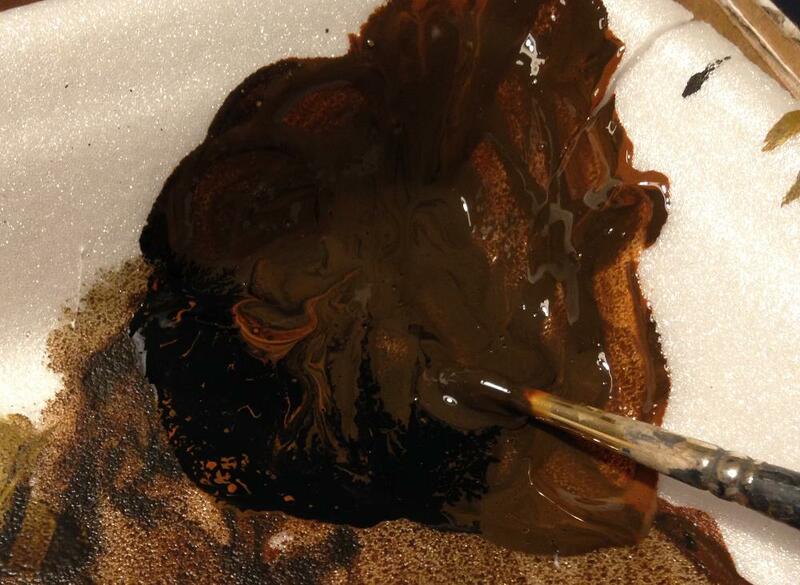 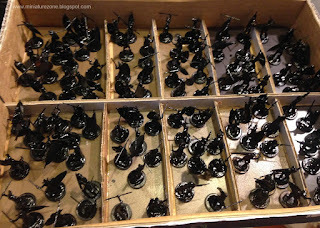 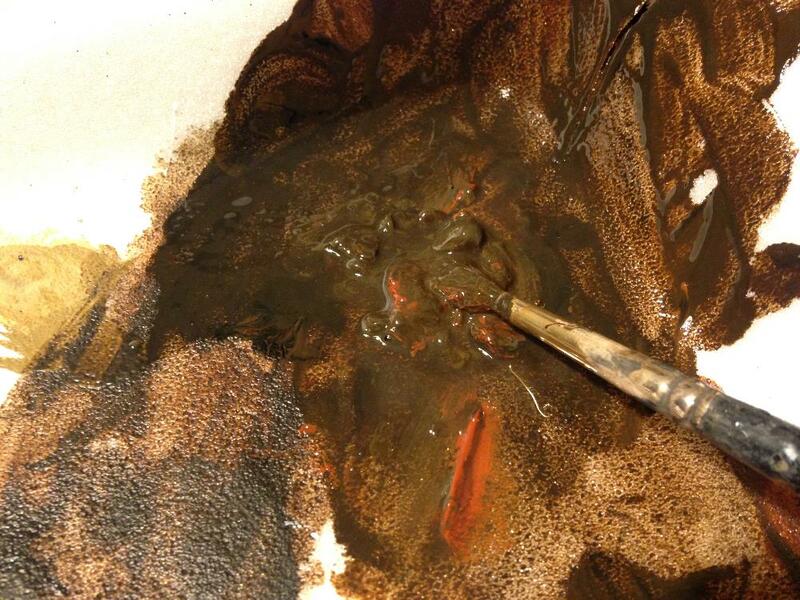 The box looks home-made and the parts look like resin copies of resin copies. 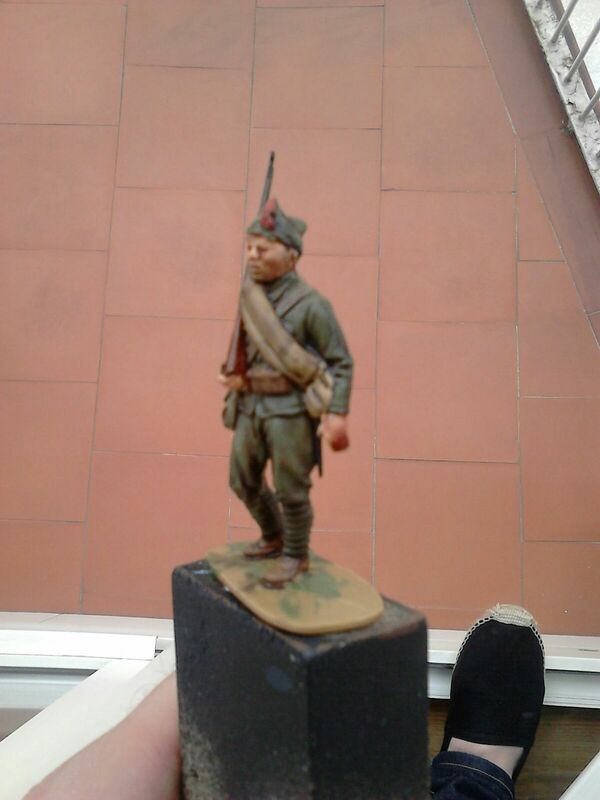 God only knows where Iván got this, where it was actually made, or how it will go together. 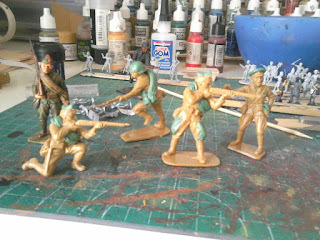 Resin kits are way down on my favourites list, but I'm game to give it a try and see how it goes. 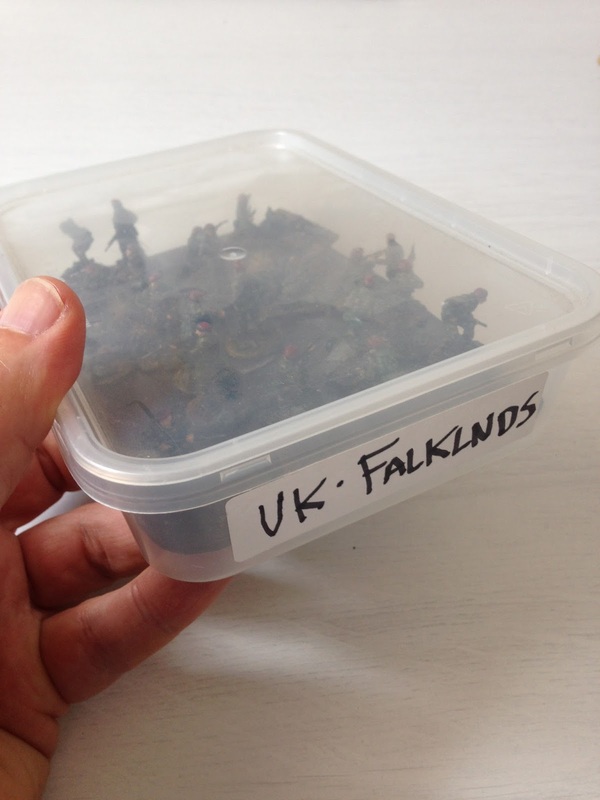 And finally, (DRUMROLL) the icing on the cake - "UK Falklands" it says on the outside of the box ! 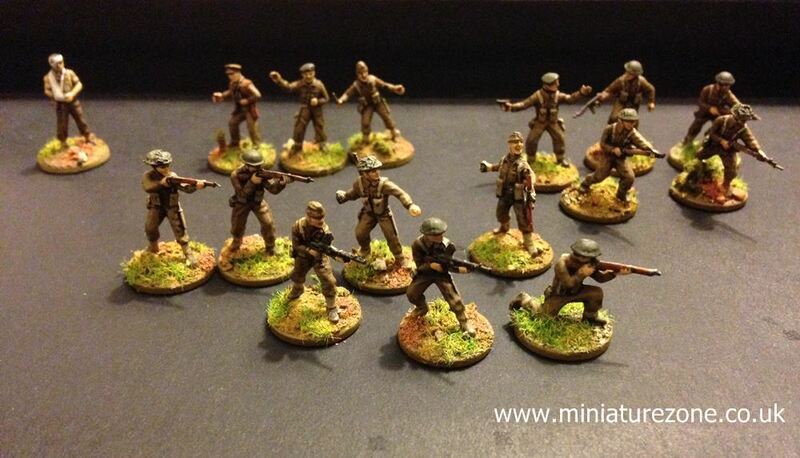 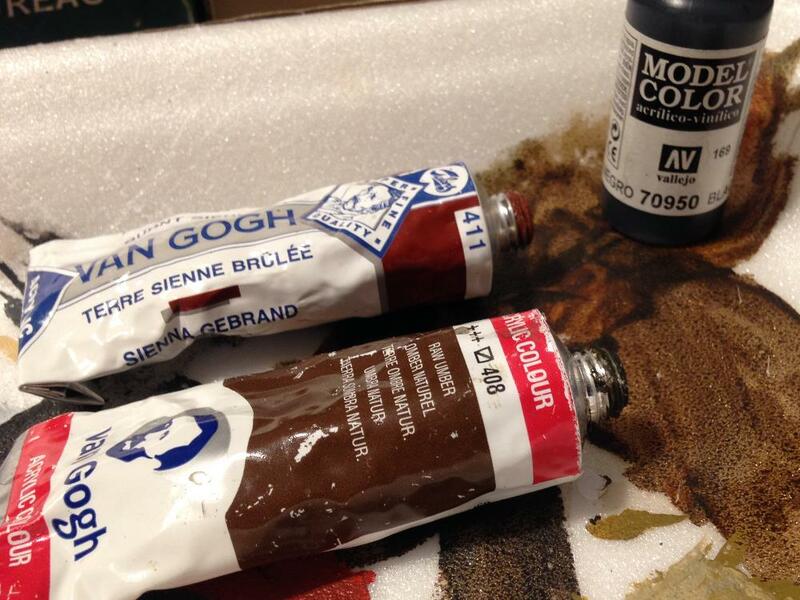 I'll unbox these in another post, and they´re well worth waiting for - all very nicely painted up by Iván. 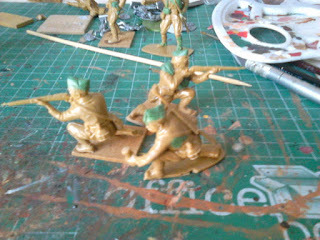 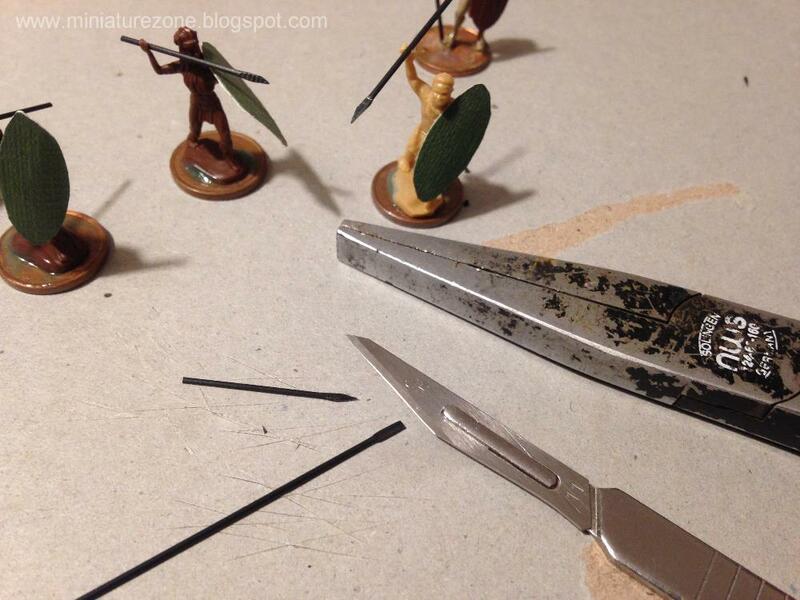 1/32 scale Airfix plastic Japanese infantry. 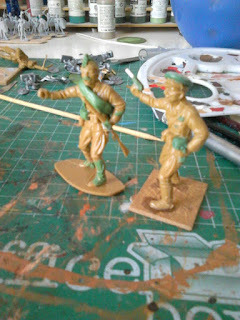 The conversions by a friend of mine Alberto Beneítez. 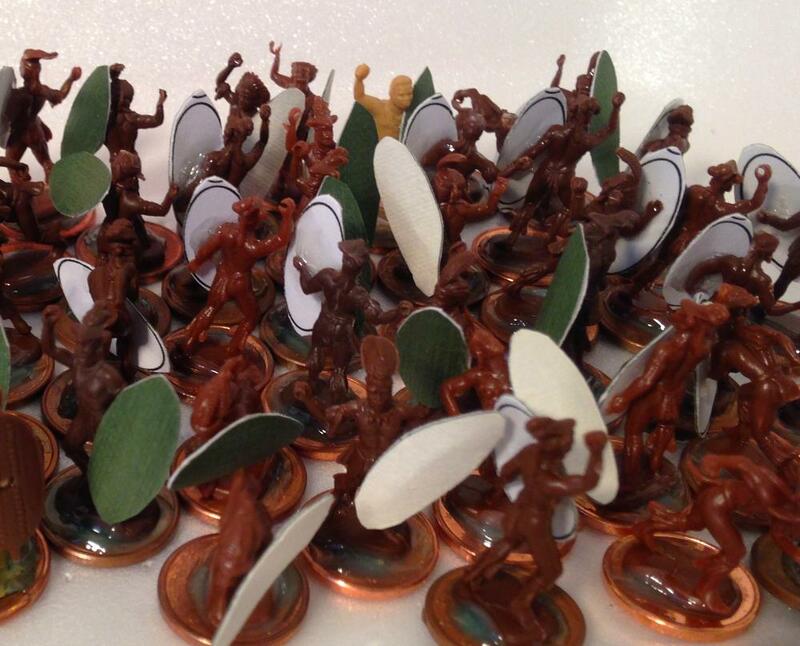 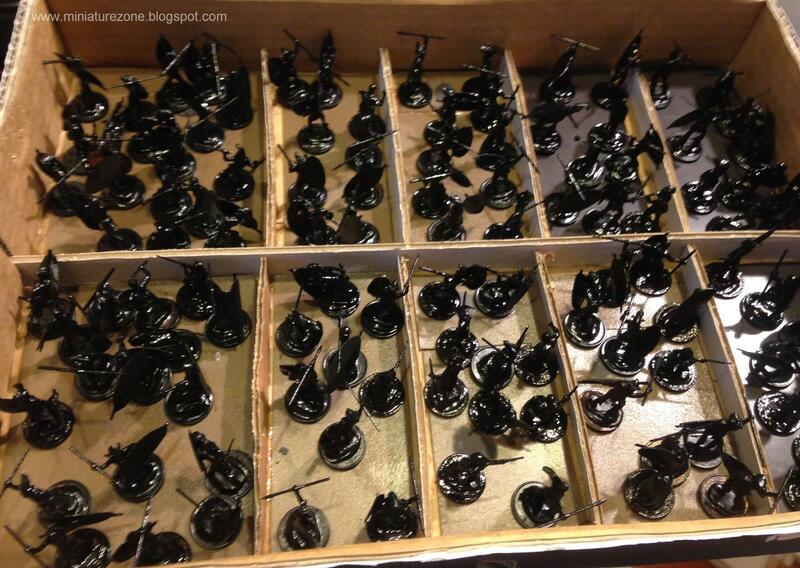 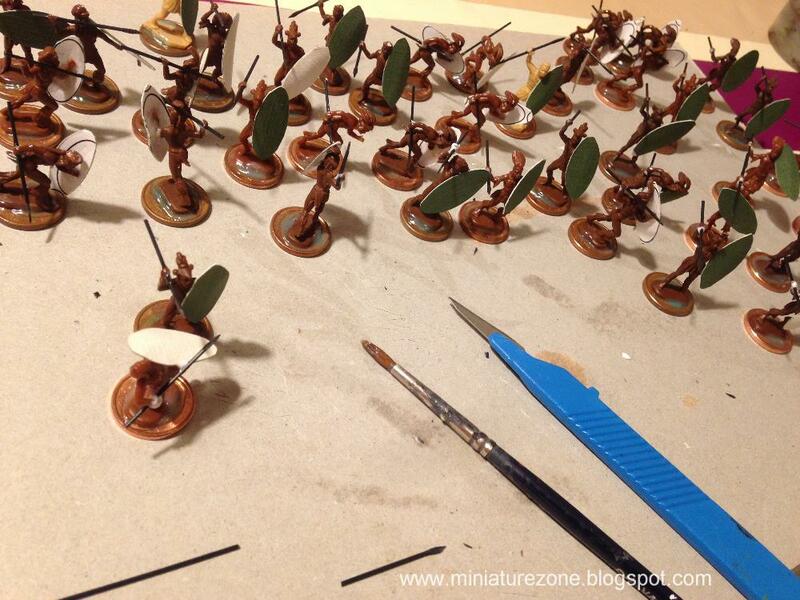 Really clever and inspirational conversions Alberto, looking forward to seeing these painted up soon. 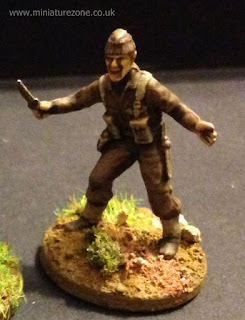 Oh, and finally an Airfix British commando who's been transformed into a Spanish Civil War Republican.